Dr. Gregory Ford is the dean of the College of Arts and Sciences at Fort Valley State University. In this role, he oversees academic departments and majors in biology, business administration and economics, chemistry, languages and liberal studies, mathematics, computer science, and military science, among others. Ford comes to FVSU from Georgia Highlands College (GHC) where he served as dean of the Division of Natural Science and Physical Education. At Georgia Highlands College, Ford was responsible for programming and instruction on five campuses and two satellite instructional sites servicing more than 6,000 students. He oversaw a $3,000,000 annual budget, 60 faculty and staff members, and laboratory facilities. Ford has been central to several campus-wide initiatives including a recent decennial reaffirmation review by the Commission on Colleges of the Southern Association of Colleges (SACSCOC) which resulted in reaffirmation; a Gateway to Completion program in which he served as a liaison; and the University of System of Georgia’s Momentum Year program. Ford’s scholarly research includes characterization of the neuroprotective effect of the neuregulin-1 protein for treatment of ischemic stroke. For the last 14 years, he has worked with his brother, Dr. Byron Ford, to develop Neuregulin-1 (NRG-1) as a therapeutic for stroke and other acute brain injuries associated with a secondary injury mediated through inflammation and been published extensively on the subject. Ford is also an entrepreneur, serving as a principle in two biotechnology startup companies, Brain-Gen, LLC and ProneuRx, LLC, which were formed to develop and commercialize NRG-1 to treat injury and disease caused by neuroinflammation. At GHC, Ford help remove financial barriers for students by leading a transition from the use of traditional textbooks and ancillary materials to the incorporation of Open Educational Resource (OER) materials, using over $200,000 in Affordable Learning Grants to transform 15 courses and saving over $1,000,000 for GHC students. This initiative helped significantly reduce instances of students withdrawing from courses or receiving D or F grades. The most significant reductions occurred in anatomy and physiology courses, where D, F, or withdrawal instances fell from 61% to 32% in four semesters. Ford has also served as a content expert and consultant on three Department of Education Math Science Partnership grants totaling over $2,000,000 which support K-8 science, technology, engineering, and math teachers across and Metro Atlanta and northwest Georgia. Ford earned a Bachelor of Science degree in biology with a minor in chemistry from Grambling State University and a doctorate in biomedical sciences from Meharry Medical College. He completed a post-doctoral fellowship with the American Psychological Association Neuroscience Program at Morehouse School of Medicine. Ford also served on the faculty at Morehouse College. 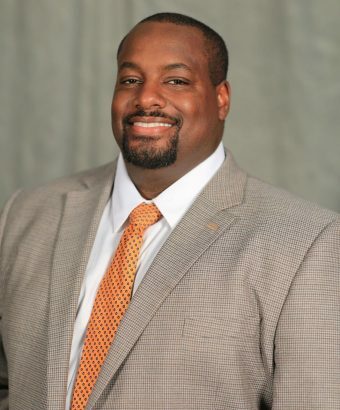 He is a graduate of Leadership Rome XXXIV, a member of Rome-Floyd Chamber of Commerce Education Committee, a member of the Paulding County School College and Career Academy Planning Committee, and served on the Bartow County School Strategic Planning Committee.